FINDING YOUR GOOD MAN – Part 2 | Thoughts of a Calabarboy. 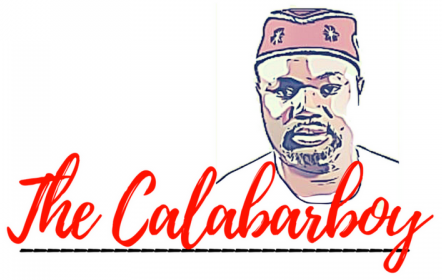 FINDING YOUR GOOD MAN – Part 2 – Thoughts of a Calabarboy. There are certain plants that you could plant anywhere and they will grow. Take the cactus plant and put it in an arid and harsh region, it will grow. Put it in fertile soil it will grow. That’s how it is made. But there are other plants that will simply not grow except they are found in the right environmental conditions. What am I saying? Location is so extremely important that if you are displaced, you may get disgraced (..I like that). In whatever you do, you must strive to be at the right place at the right time. This is something that no one can explain better to you, as I found out that we all know at every point in time where we ought to be and anything other than that is a willful refusal to do the right. Some people are “lonely Londoners” and go solo, yet they expect to meet someone Joke? Location-wise, you are in an island, and will only encounter creeping and creepy creatures. You need to come out of your walled life and interact with people on a regular basis. We were created relational beings and we function maximally that way. Whatever situation you had faced before; because you don’t want to get hurt again, is no good reason to separate from people. You will allow yourself fall into imaginations that warp your thoughts and further deepen the hole of your disenchantments. Get involved with something and people who believe what you believe. Join a great church, a unit in church, a non-profit organization, a voluntary service organization, or any such groups where you will meet people who have a heart for and believe in something. I have heard people complain that church is the worst place to get involved with someone. But guess what, human go to church not angels. So you will always have to contend with what is peculiar to humans. Clean your mind, get up and strive on, for your time is on the way. Church is comprised of the good, the bad, and the ugly. But the truth is that the good today, were the ugly of yesterday, and the fact that there is the ugly, doesn’t preclude the existence of the good. So get busy doing something beyond going to work, parties and night clubs. You can even start something new if you find nothing. When you find nothing, it is usually an indication that you can start something, so become proactive with your life and be busy doing something interesting with your life. Where you are is vital to who you meet, so get yourself in the right place, especially at the right time. I made mention of a point above that God created us relational beings. This means that we were created not just to function in relationships and communities, but to initiate and maintain them. For relationships to exist, someone has to initiate one, and for it to continue existing, someone has to maintain it. Women have often shied off when it comes to initiating a relationship with a male. I guess this is culturally bound although these days that is rapidly changing. But I must state clearly here that as a lady, you should never shy away from initiating a good relationship whenever you have a chance to. Many women have seen what they like and never made an attempt at starting a friendship until it became almost impossible to. We have to unlearn all the things that growing up has burdened on us. When we were children, we could talk to anyone at anytime we felt like it and didn’t feel any sense of shame. I tell you truthfully, that is one of your greatest asset as a lady. Put on your childhood again and start making good relationships. You see a guy you like, create the opportunity for a chat, and never feel uncomfortable around him, for that’s when he will have ideas. Your boldness is your loaded weapon, and let’s face it, bold and calm omen are admirable. Most of us spend time trying to figure out what is in the guy’s head before we think of making a move. And the real truth is that 90% of the time our imaginations are wrong, because people really have a lot on their minds to be thinking about who or what you are you know. By the time we are done analyzing, we would have given ourselves more reasons why not to take a step. Even if nothing amounts from it, you have created one more link in the world and you have further helped in shrinking the human differences, after all nowadays we hear of six degrees of separation. So note here that being shy is not a virtue neither is being silent of any value. I am not saying you go outright and tell a man you want to date him or marry him, but that you be proactive in initiating relationships when you identify a good man. It doesn’t take anything from you except that which you imagine, rather it adds to you what you didn’t have before: one new friend and one step closer to your good man. Finally, I will share here something my mother gave to me. Not that she said this to me, or wrote it down somewhere, I merely gleaned it from growing up in her protective arms around me. This is crucial, important, vital, and very essential. BE A WOMAN! I will say it again: BE A WOMAN!! And one more time: BE A WOMAN!!! It is just amazing how these days, women are becoming like men in almost everything. While I do not subscribe to the erroneous “what a man can do a woman can do better” philosophy, I still believe that women can do anything they want to and should and can never be restricted. However, I still hold dear to the fact that a woman should be a “woman” in every sense of the word without the cultural approximations. A woman is the other side of a man and makes a man’s adventure complete. For what we don’t have as men, women do and they fill our emptiness and have their peculiar characteristics and nature that defines them as so. Please don’t try to be a man. That is extremely ugly! Cry when you have to, gossip when you have to (ha ha ha), love at all times, smile all the times, and do those positive things that come naturally to a woman. Then I bathed you with water and washed off your blood from you and anointed you with oil. I clothed you also with embroidered cloth and shod you with fine leather. I wrapped you in fine linen and covered you with silk. And I adorned you with ornaments and put bracelets on your wrists and a chain on your neck. And I put a ring on your nose and earrings in your ears and a beautiful crown on your head. Thus you were adorned with gold and silver, and your clothing was of fine linen and silk and embroidered cloth. You ate fine flour and honey and oil. You grew exceedingly beautiful and advanced to royalty. And your renown went forth among the nations because of your beauty, for it was perfect through the splendor that I had bestowed on you, declares the Lord God. God loves your beauty and when you show it out He loves it more. Moderation is the key word and a humble spirit is the watchword. So go forth and be a shining example of true inner and outer beauty, and be excited about who you are. This will be the first attraction to many who come your way. You will notice that I have not said anything about the man, but everything here is about the woman. When you have done these things, then your eyes will be clearer and you will understand what no man can teach you, knowing your man when you see him. You were never designed to struggle and strain when it comes to getting your good man. You were designed to attract him your way and then keep and groom him for life. So this is what is most important in finding your good man. It is all about you and what you can offer and less of what you can get. Change the way you think! Interesting Reg. Quick one though! So for single ladies who have started getting used to the idea of being single and doing things for themselves like changing a flat tyre or putting on the generator.. what happens when the man comes along and he sees you as being “manly” What does the woman do? Sit back quietly and pretend she cant change the bulbs or change her tyre when she has a flat?